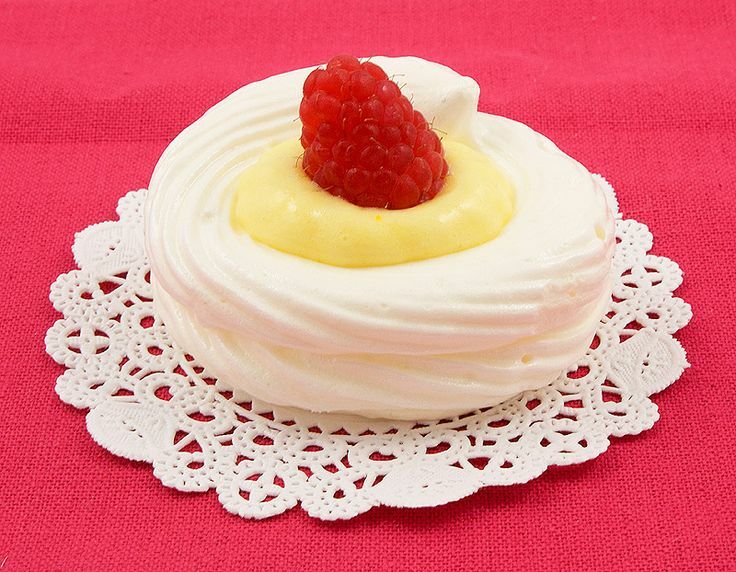 Pavlovas are super simple to make: whip eggs and sugar with a little cream of tartar and vanilla. You get a sweet, stiff mixture reminiscent of liquid marshmallow. This is your meringue, what the pavlovas are made out of. Then you bake it at a low temperature (in essence, you are just drying them out) and the become crunchy on the outside and soft and sweet on the inside. The edges should be higher than the center to make a nest for the filling. To do this, simply pipe an extra round or two around the edges, or if using a spatula, take a spoon and gently create a well in the center. You can smooth out the sides or leave them as-is for a more rustic pavlova. To make a finished pavlova, fill the baked meringue bowl with pastry or whipped cream and fresh fruit! To make individual pavlovas, pipe out mini meringue "nests." 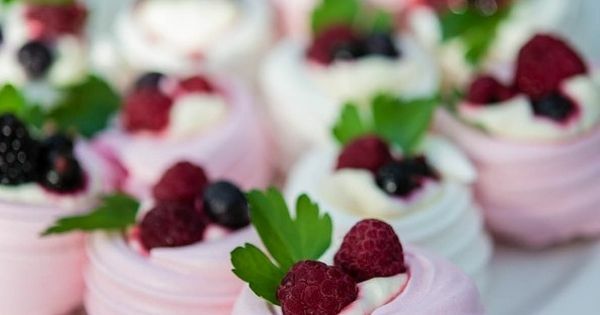 To make individual pavlovas, pipe out mini meringue "nests."